NEW YORK • Change the recipe for Nutella? It is no wonder then that many angry fans are going nuts over the move. The hazelnut spread has its sticky fingers everywhere. McDonald's restaurants in Italy serve it on hamburger buns. Lifestyle websites cheekily offer lists of "signs you are addicted to Nutella". And at least one German football team dropped a player who could not stop feasting on it. Nutella confirmed on its Twitter feed on Wednesday that the recipe "underwent a fine-tuning" after Germany's Hamburg Consumer Protection Centre said on Facebook that it appeared that the recipe had been changed. That set off panic and anger on social media in a symphony of languages - English, German and Italian chief among them. "Real cool," wrote one sarcastic commentator, adding, "why not draw a moustache on the Mona Lisa too?" "They are changing the recipe of #Nutella! How dare they! Leave the sugar & cocoa alone!" wrote an impassioned fan. The tweet also included five angry-face emojis, two screaming emojis, two disappointed-face emojis and three crying emojis. The recipe tinkering has even spawned the hashtag #NutellaGate. Ferrero, the Italian company that makes Nutella, Tic Tac and Ferrero Rocher chocolates, insisted that "the quality... and all other aspects of Nutella remain the same" in a statement obtained by the BBC. The changes are to its milk and sugar content. The new recipe has 8.7 per cent powdered skim milk, instead of 7.5 per cent. It also contains 56.3 per cent sugar, instead of the previous 55.9 per cent, the Hamburg Consumer Protection Centre said, according to broadcaster Deutsche Welle. "As the colour of the new Nutella is lighter, we are working on the assumption that skimmed milk powder was added at the expense of cacao," the centre added, although Ferrero did not confirm this. The outcry is slightly ironic when you consider the candy's history. Nutella was created by an altered recipe for a chocolate spread. It was invented by Italian chef Pietro Ferrero after World War II out of necessity, according to the BBC. Cocoa was hard to come by in post-war Italy. In an attempt to make a chocolate paste without much chocolate, he decided to stretch a little bit of cocoa a long way with hazelnuts. He shaped this into a loaf, which he called "Giandujot", after a carnival character. Thus, the hazelnut-chocolate spread was born. 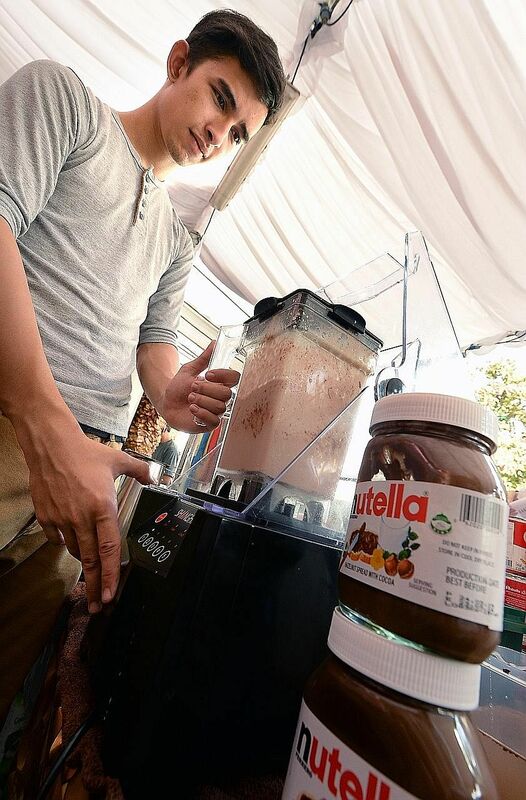 Years later, Ferrero's son Michele would tweak the recipe and rename it Nutella - it became a worldwide sensation. Over the years, it has attracted an army of imitators, from large brands such as Jif, Hershey and Kroger, but fans always came back to the original temptation. In the past five years, Nutella sales are up 39 per cent in the United States, despite nutritional concerns. For years, Ferrero has been petitioning the Food And Drug Administration to change the serving size on its labels by cutting it in half. A smaller serving size would show fewer calories and "might make people more likely to grab a jar from supermarket shelves", as broadcaster CNN put it. The reaction to the recipe change brings to mind the outcry when US-based Mondelez International spaced out the triangular chocolate pieces on its Toblerone bars. Fans then called the move "underhanded" and "dreadful".